This past fall, the annual AIGA conference was hosted in Minneapolis along with the annualAIGA Redesign Awards. We volunteered our time, ink, and used paper to the effort! Using old make-ready prints from the Airship graphic novel, we printed the award certificates over the top! 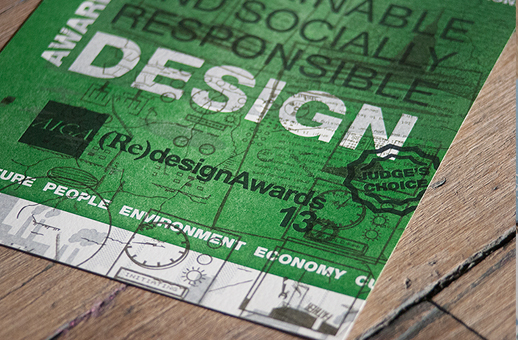 We took a bright green color and overlaid it over the illustrative backs, and created really beautiful upcycled awards. Posted on November 19, 2013 by Angel Bomb and tagged letterpress. Between drooling over design publications and talking smart, we do get some work done. Here's a sampling of what's going on in and around the studio.